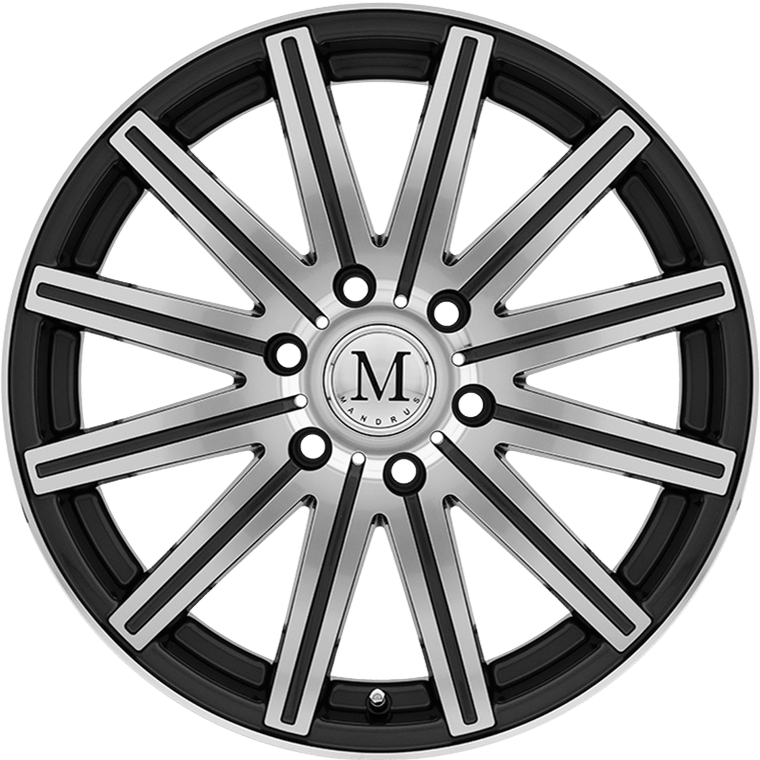 The Mandrus Stark is a smart wheel tailored perfectly for Sprinter vans. The Mandrus Stark is a smart wheel tailored perfectly for Sprinter vans. Twelve spokes emerge from the dedicated 6 lug pattern and stops just short of the edge to embrace a polished micro lip. Each spoke is engraved in the middle and cleverly connects into a drain or lug hole. The Stark is available in Gunmetal with Mirror Cut Face and Lip or a sleek Matte Black with Machined Lip Edge.